Taglines: East meets west in this Filipino-Australian neon-lit pop-punk extravaganza! 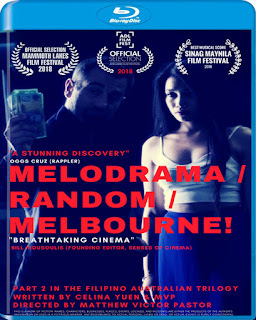 Also Known As: Melodrama - Random - Melbourne! Presented in Glorious Cinema - O - Ke. A feminist documentarian, a pick up artist and a virgin's lives collide. Blood will be shed on neon-lit streets of Melbourne.